A lesser known family drama by playwright Brian Friel is the next challenge for Athlone Little Theatre’s talented actors and their director Billy Nott. ‘Living Quarters’ is a memory play set in an army officer's home in Donegal, near Friel's favourite fictional town of Ballybeg. It tells the story of the fateful day that Commandant. Frank Butler returns in triumph after five months service with the UN in the Middle East. His four children from his first marriage all return home for the celebrations along with Frank's young wife, Anna. First produced by the Abbey Theatre in March 1977, its original cast including Ray McAnally as Frank. In the tradition of a Greek tragedy, a narrator, known only as Sir, played by Paul Gill, consults his ledger as the story unfolds. The other characters interact with Sir as they unwillingly re-play the day’s events, their self-knowledge building another layer of tension to this inter-generational drama. The role of Commandant Frank Butler is fittingly filled by the great stage presence of Athlone’s own Lt. Col. Richard Brennan, with his wife Anna played by Nessa McLoughlin. 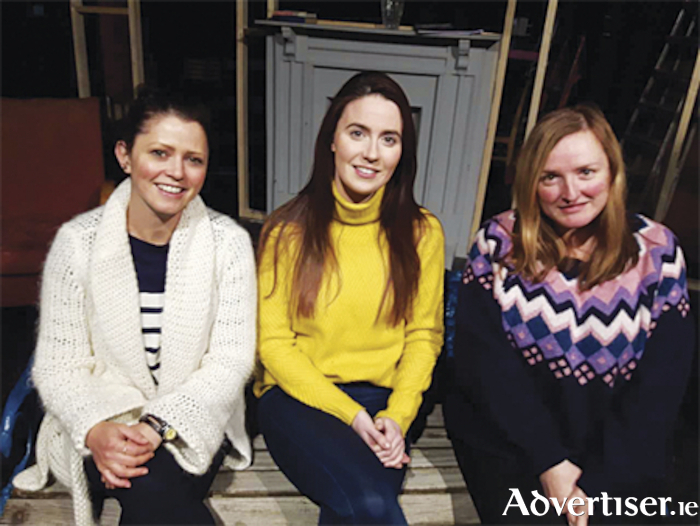 Frank’s grown-up children Helen (Fiona Bracken ), Miriam (Fiona Scerri ), Ben (David Kelly ) and Tina (Ciara Higgins ) bring both impressive performance credentials and fresh experience to their roles. Ray Kelly takes on the part of Miriam’s husband, Charlie, and injecting a sense of both humour and pathos into the role of Fr. Tom Carty, army chaplain, is the versatile Martin Kelleher. Experienced director Billy Nott has chosen to tackle this work by Friel (better known for Dancing at Lughnasa, Translations, and Philadelphia Here I Come! ) with the help of master set builder Geoff Boles and lighting/sound designer Paddy Martin. Backstage, Deirdre Verney will be managing the team. Living Quarters will run nightly at 8pm from Saturday, February 23 for seven nights until Friday, March 1, at Athlone Little Theatre, St Mary's Place, Athlone. For online bookings see www.athlonelittletheatre.ie or phone (090 ) 6474324 and check Facebook for regular news.